This is quite a late flowering one, no name as it came in a bag of bulbs some years ago! 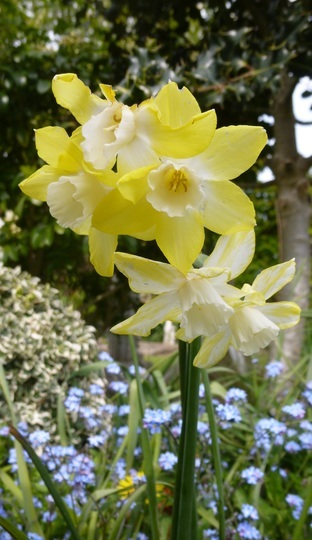 I have this one, and it is a fabulous daff, comes back every year......will let you know what it is called...if I remember lol! !